H218. A dark blue woollen forage cap with Bakelite buttons, inside is marked N451 1944 Made in Australia Size 7 and the initials J. L.
H218. 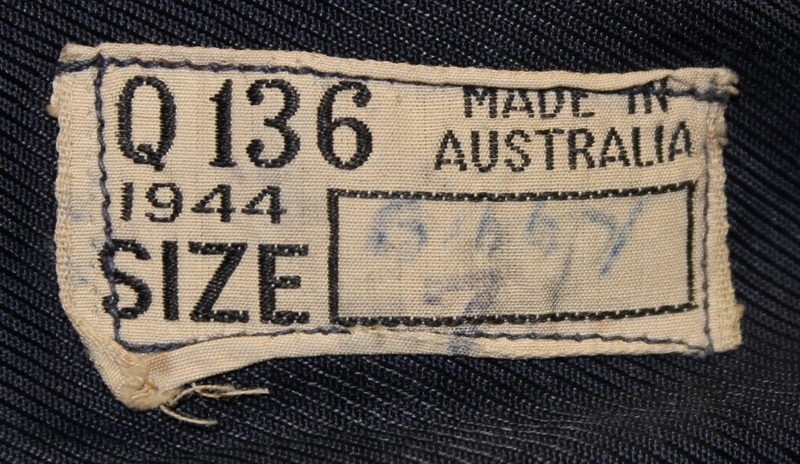 Makers label to a New South Wales company N451. H272. A dark blue woollen forage cap with an oxidised Air Training Corps cap badge and Bakelite buttons, inside is a label V330 1944 Made in Australia Size 6 7/8 A arrow F.
H272. 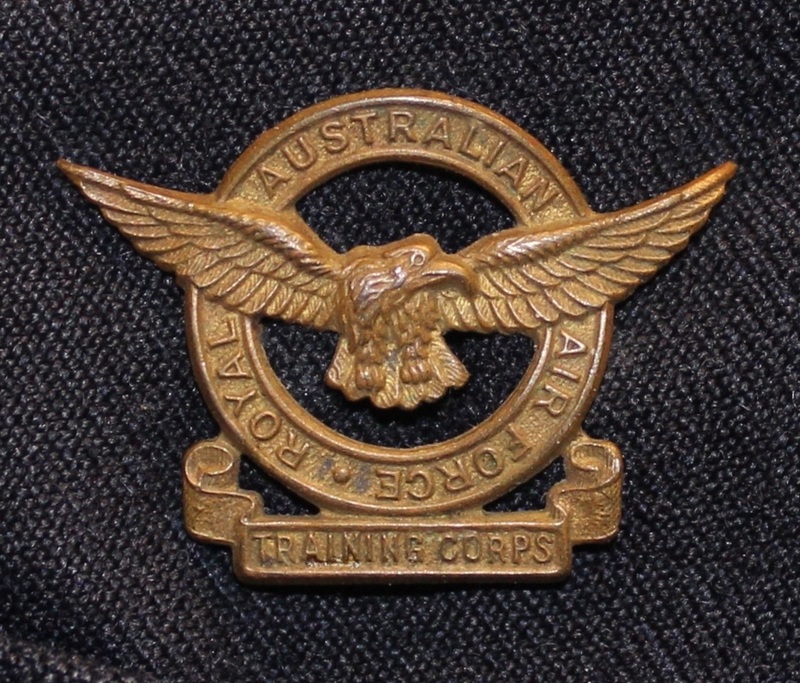 An oxidised Air Training Corps cap badge. H272. 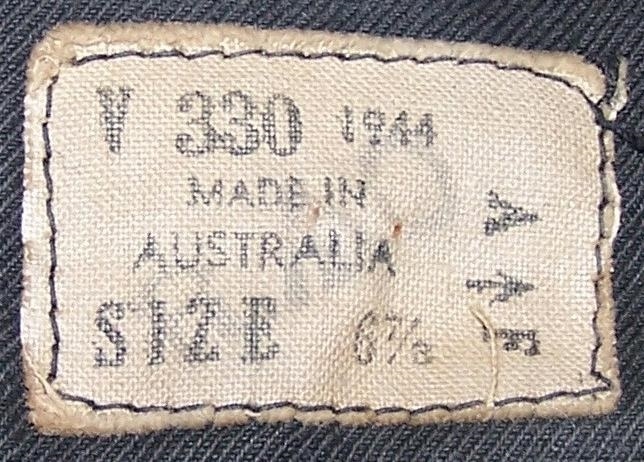 Makers label for a Victorian company V 330. H296. A dark blue woollen forage cap with an oxidised ranks cap badge and Bakelite buttons, inside is a label S125 A arrow F 1944 7 1/8 Made in Australia. H296. 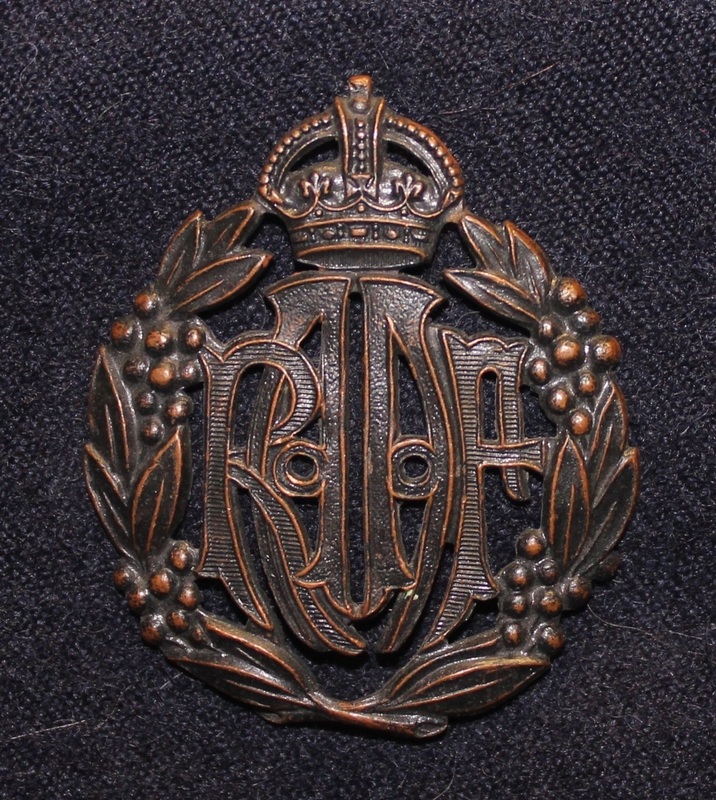 An oxidised ranks cap badge. H296. 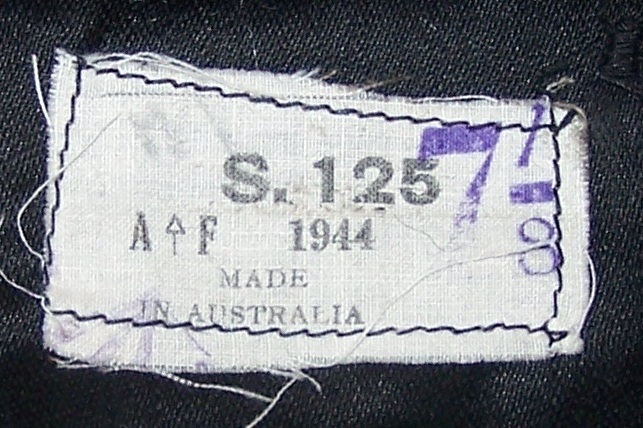 Makers label for a South Australian company S. 125. H326. A dark blue woollen forage cap with an oxidised ranks cap badge and Bakelite buttons, inside is a label S145 A arrow F 1944 7 1/8 Made in Australia P Crabtree. H326. 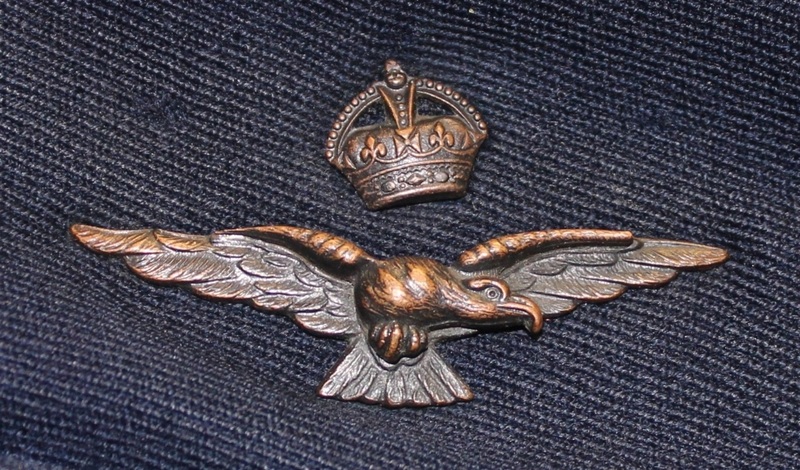 An oxidised ranks cap badge. H326. Makers label for a South Australian company S145 plus the owners details. H352. A dark blue gabardine forage cap with an oxidised officers cap badge and Bakelite buttons, inside is a label Q136 Made in Australia 1944 Size 7 Gibby. H352. 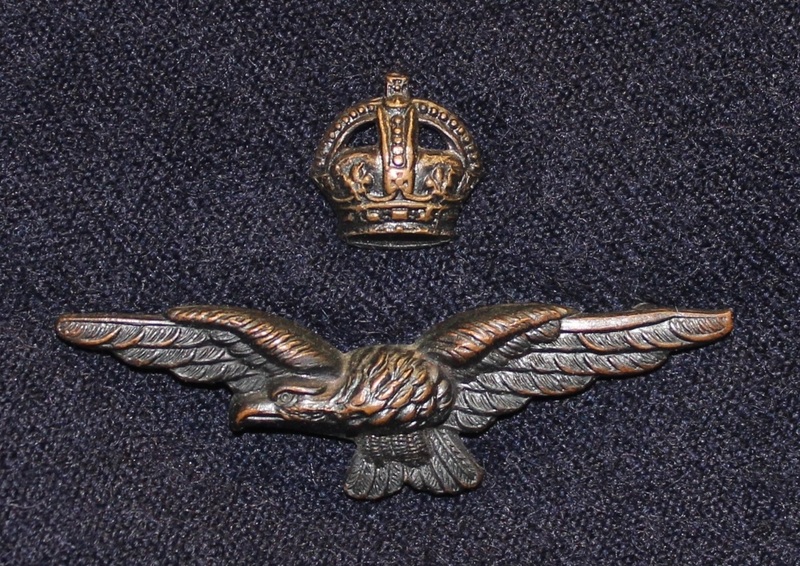 An oxidised officers cap badge. H352. Makers label for a Queensland company plus GIBBY. H408. 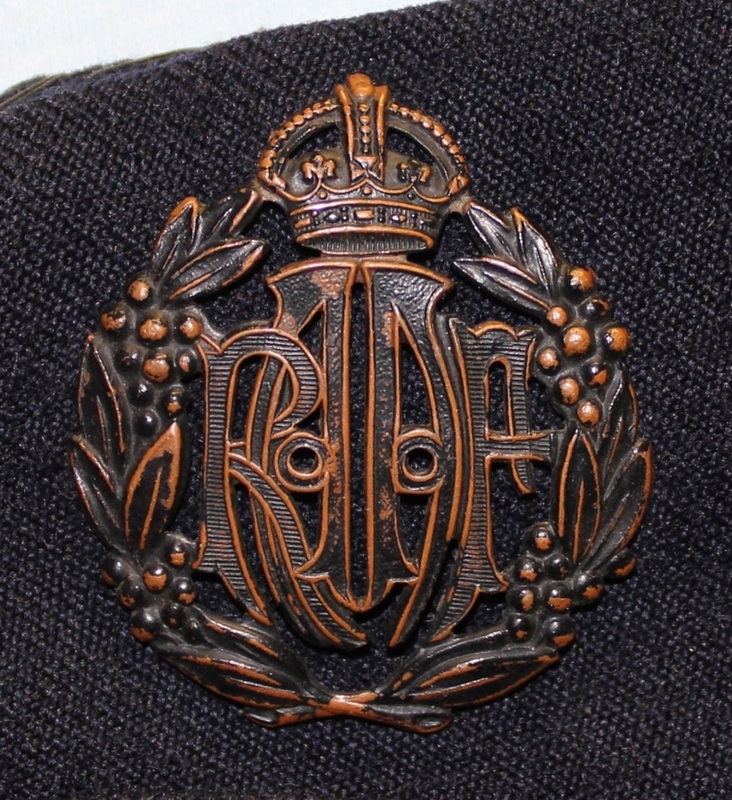 A dark blue woollen forage cap with an oxidised officers cap badge and Bakelite buttons, inside is marked N432 1944 7 ¼. Badge is marked London. H408. An oxidised officers cap badge. H408. 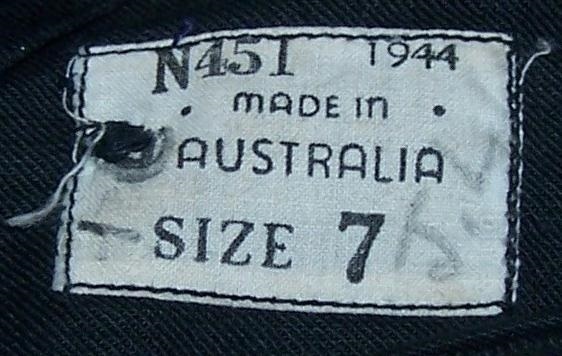 Makers label for a New south Wales company N432.